When Stacey Greene was growing up in Chicago, she helped her father, Willie Greene, catch crayfish, minnows and worms. He owned the Park Bait Shop at Montrose Harbor and supplied all his own live bait. 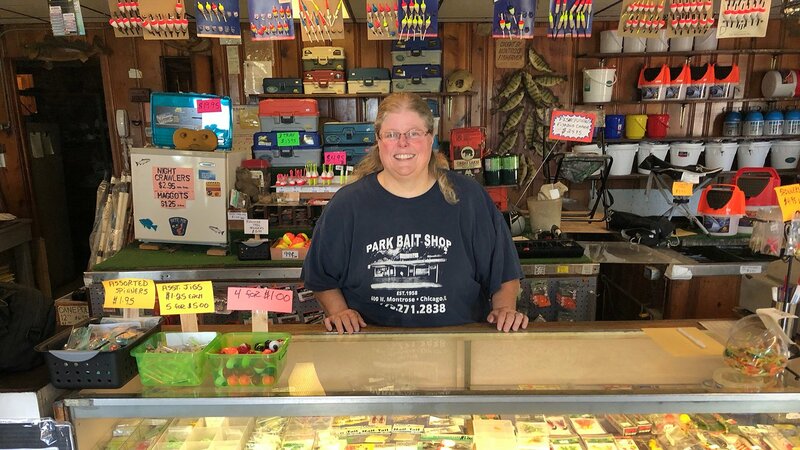 He opened the shop in 1958 after years of supplying bait to the previous owner. Today, Stacey Greene carries on the legacy created by her father. She opens the shop every day at 4 am. Although, these days, she buys her live bait from suppliers. We recently paid them a visit and had some close encounters with night crawlers and leaches.